By Beth Snyder Bulik and [email protected] . Published on November 22, 2010. YORK, Pa. (AdAge.com) -- Beyblade's back. And now, more than a decade after the spinning top first appeared, sales are -- in the brand's parlance -- letting rip. 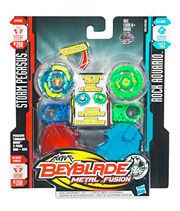 The updated "Beyblade: Metal Fusion" uses sports metal instead of plastic bases and has a new set of names and capabilities and codes for online play. A corresponding TV show also has new characters and storylines, as well as a different network, Cartoon Network. Also new this time around are Nintendo Wii and DS video games. In the case of the DS, one of three different exclusive tops toys is packaged in, depending on the retailer. Walmart and Toys 'R Us each have one, while there's a third spinner for all other retailers. "While Beyblades may be 'old,' it's new to a whole new generation of kids," said Jim Silver, editor in chief of TimetoPlayMag.com. "But you can't just do the same thing as before. Notice this time they're faster, more powerful, higher performance and more customizable." For Nelvana, the broadcast partner and licensing agent for Beyblade outside Japan, and toy licensee Hasbro, it's the second time around. The original began as a toy in Japan in 1999, was launched internationally by Nelvana in 2002 and quickly climbed to top TV show and toy status. The show aired in more than 100 countries and merchandise sales eventually topped $500 million. More than 150 million Beyblades were sold in those years, and it was the No. 1 toy in countries including the U.S., Canada, Mexico, Australia, France and the U.K. in 2002 and 2003, according to Nelvana. The Beyblade brand managed to keep kids' attention through 2004, but like with many other things, "kids moved on," said Colin Bohm, managing director, Nelvana Enterprises. That changed in 2008 when Beyblade was relaunched in Japan and became such a big success -- more than 24 million Beyblade tops and accessories have been sold there in the past 18 months -- that Nelvana was moved to try an international rollout. The TV show hit the U.S. in June and the toys started appearing about six weeks later, said Stephanie Zhuang, marketing manager for Beyblade at Nelvana. "We're starting to see that tipping point of critical mass and rapid acceleration of sales," Mr. Bohm said. "It's been a bit viral and is now getting to critical mass with enough kids who now have them wanting to play them with their friends. We saw the same thing already happen in Canada." A Target spokeswoman confirmed that Beyblade is "very popular" at Target stores this season, although she added that stock levels of Beyblades in its stores are still good. As TimetoPlayMag's Mr. Silver noted, the Beyblade toys are different -- and improved. The metal parts, for instance, not only make the tops sturdier and faster, but also noisier and more aggressive -- key draws for boys. The online components, such as the codes toy buyers can enter at Hasbro's beybladebattles.com for online cataloging and battling, as well as the new video games from Hudson Entertainment, are also key to Beyblade's success in 2010, analysts said. The exclusive toys on each DS game box are also expected to be a draw. Cross-marketing among the TV show, toys and video games is coordinated and involves linking, advertising, merchandising and promotions. Mr. Bohm likened Nelvana to the "quarterback" of the team of Beyblade partners. "Without the animation [TV show], the toys and the games won't be as successful," said Mike Pepe, director-marketing for Hudson Entertainment. "We co-promote and coordinate all the time. Boys love to play with these tops, and they also love to play video games, and they also love to watch cartoons. 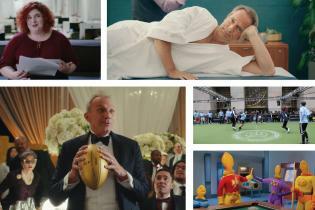 I don't want to say it's the perfect storm, but it offers everything they love to do in one." The low price points -- under $10 for individual tops and up to about $25 for larger accessories -- also seems to position Beyblades well in the still-recovering economy. "Parents might feel a little like, 'Huh? 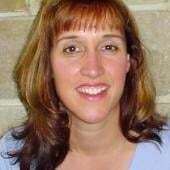 I don't understand it,' but then say, 'OK, at that price, if you want to spend your money on it, go ahead,'" said Reyne Rice, toy trends specialist for the Toy Industry Association. "Even if parents do love it and buy them for their kids, the kids will probably still save up on their own to add to their collections." That means kids are driving this trend -- and not just the younger ones who are saving up to purchase, but their older siblings, too. Robert Gottlieb, CEO of USA Toy Experts and publisher of Global Toy News, said teens that played with the toys seven years ago are important in the sales cycle. "It's playground driven, but it's also sibling driven," he said. "Older siblings remember them as cool, and who's cool to the younger generation? It's aspirational for the 7-year-old who wants to be like the 14-year-old."